Obesity is a strong predictor of adult morbidity and mortality. 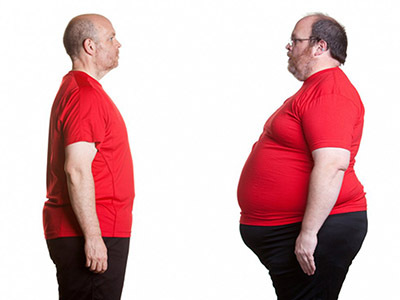 Any loss of weight is beneficial in reducing many of the complications of obesity. The World Health Organisation guidance for the management of obesity recommends that initial management comprises of a variety of interventions to modify diet and physical activity behaviours. Physical activity is important for maintaining long-term weight loss and managing co-morbidities. The prevalence of obesity in GCC adults has been reported to be 24% amongst males and 40% amongst females. Further, there have been increases in the prevalence of overweight and obesity in GCC states in recent times. More specific to the UAE, one survey, conducted over 15 years ago (1999–2000) found that a third of the population was obese and over 40% overweight. How can Physiotherapy help Obesity? Co-ordination of comprehensive and sustainable programmes of management in collaboration with service users, other health and social care professionals, and community services. Obese children, like adults, often present with a number of musculoskeletal signs and symptoms that may limit their time spent in physical activity. Being obese is detrimental to gross motor skill performance, for example in upper and lower limb coordination, balance, running speed and agility, and strength. These differences become more pronounced as children get older, suggesting the need for early focus on motor skill development to encourage overweight and obese children to be physically active. Physiotherapy-led exercise classes are effective in significantly improving motor skills, activity levels, BMI, and other anthropometry in children. Common Bariatric Surgeries are Gastric Band, Gastric Sleeve and Gastric Bypass.There is mounting evidence to demonstrate that physical activity can improve weight loss and other outcomes following bariatric surgery. It is consistently seen as the most important predictor of long-term weight loss maintenance. Most preoperative patients are insufficiently active, and without support, fail to make substantial increases in their physical activity postoperatively. Nightingale Physiotherapy can help with the social, physical, and mental barriers preventing physically activity that often happen post surgery to increase physical activity. In particular, patients with pain, balance, gait or other physical or sensory deficits would benefit from physiotherapy. Calculation of body mass index. To arrange an appointment with our Obesity/Bariatric Physiotherapist call 800 UAE (823).